You'll be hiring a fully trained and experienced specialist with the knowledge needed to fix any kind of fault in any kind of kitchen appliance. Any brand. Any make. Any model - we'll get your cooker, dishwasher, washing machine, or tumble dryer working again. Providing results that will stand the test of time. Get a free quote on your service now - we always inform you about every cost involved in your work right from the start. Is your domestic appliance made by LG, Aeg, Falcon, Smeg, Neff, Hoover, Whirlpool, Beko, Hotpoint, Zanussi, Samsung, Bosch or Indesit? Or is from another manufacturer? In every case, we've got the experience and the training to provide a safe and lasting fix for any kind of malfunction. Our commitment to giving you a service that's tailored to meet your needs, and those of your appliance, means providing a friendly and helpful specialist to carry out your work - someone who knows what they're doing, and will be able to answer any questions that you might have about the issues you're experiencing. 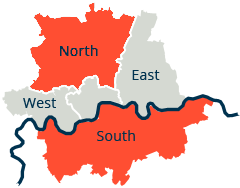 Our main area of focus is South London, but if you need us outside of our immediate area please do call and let us know. We'll always do our best to help you, no matter where you're based. That's the question that many of our clients start with. How do we answer? First up, by guaranteeing and fully insuring all of the work you get from us right from the start. This way, you can relax knowing that you're protected in the event of anything unforeseen happening. You'll also be able to relax in the knowledge that we've perfected an appliance repair service that gets the job done with no messy causalities - in short, we'll take steps to cover and protect your kitchen while we work, and clear up after ourselves when we're done. You have more questions? Simply visit the page where we answer to some of the most frequently asked questions. 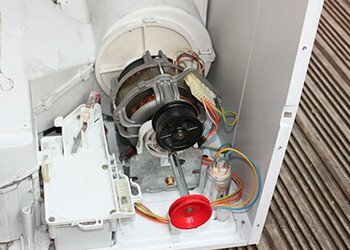 Washing machine won’t spin – Your appliance may need to be dismantled for your technician to identify the cause – problems with the drive belt, washing machine valve cap, motor, or clutch can all be sourced and fixed. Water not draining from the washing machine – The washing machine outlet hose may be blocked, the pump could be faulty, and the control module may be failing – your expert can handle them all. Other washing machine faults – can include problems with the door which may require a washing machine door replacement. Your specialist will order one for you. The oven doesn’t heat up – Failure of a heating element or faulty wiring are two common oven faults. Your technician will quickly deal with both. The oven’s overheating –– electronic panels can be reset, and thermostat sensors accurately calibrated by your experienced engineer. Leaking dishwashers – Doors, inlet hoses, and valves will all be checked and repaired or replaced as necessary by your qualified technician. Dishwashers that won’t start – Mechanical and electrical problems can be fixed by your expert. Noisy dishwashers – The fault will be identified, whether it's with motor mountings or wash arm seals, and your repair man will get to work. Why your tumble dryer won’t start – Any electrical problems will be sourced and mended by your engineer. Why your tumble dryer’s not heating up – Multi-meters will be used to check fuses and heating units. Why your tumble dryer’s getting too hot – Insufficient air flow may be causing blocked pipes and the dryer will be getting very hot. All electrical components will be tested by your repair man. Noticed an issue with one of your other kitchen appliances? Don't worry - we've got the skills and equipment to fix a lot more than just your electrical cooker! You can also call on us for washing machine repair, tumble dryer repair, and to fix your dishwasher too. 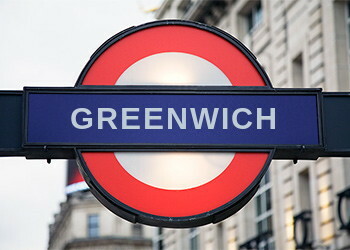 What's more, we also deliver professional cooker repair across all of Greenwich, including Woolwich, Blackheath, Eltham, Charlton or Abbey Wood, and other South London Boroughs like Bexley, Bromley and Lewisham. So if you're experiencing problems with these parts of your electrical oven, simply let us know when you call. Remember - Exclusive Repairs means quality service no matter which of your appliances needs the attention!